Without a doubt, destination weddings are a chance to create a once-in-a-lifetime experience for you and your guests. From introducing your guests to a new culture to watching you say “I Do” in front of the most gorgeous sunset, your destination wedding will be unlike any wedding they’ve ever attended. 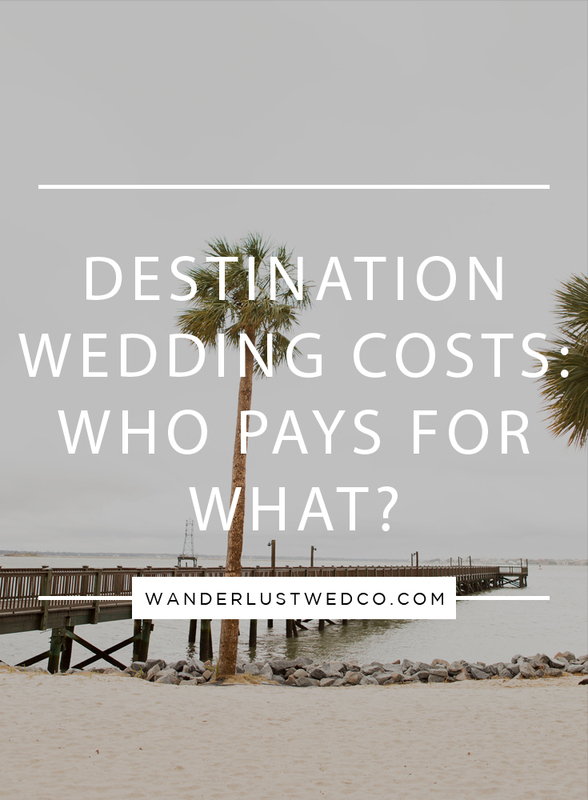 But, with one-of-a-kind weddings come one-of-a-kind expenses. Airfare. Most guests know that airfare to and from your destination will be their responsibility. However, we are always happy to help your guests book their flights to ensure they’re getting the best pricing and travel times to coincide with your wedding festivities. Accommodations. Like airfare, the cost of your guests hotel will fall on them. However, if your budget permits, you might consider contributing a flat amount per room to lessen the expense. While not expected, it’s a nice gesture to thank your guests for traveling all this way to celebrate with you. Transportation. Transportation fees such as ferry rides or shuttles to and from the hotel can either be covered by you or your guests. If your guests will all be arriving at different times, it can be hard to coordinate group travel to and from the hotel. However, if you’re destination has Uber, you can always create a private event code allowing guests to call a ride at no cost to them. While not expected, you’re guests will appreciate the gesture. Meals. Most meals while in country will be an expense for your guests. Of course, meals during wedding related events such as a welcome party, reception and post wedding brunch will be covered by you just as if you were hosting the wedding at home. Excursions + Extras. Unlike local weddings, your destination wedding budget will include excursions and extras for your guests. While you don’t have to cover every excursion, you should budget to include at least one excursion for you and your guests. Additionally, you’ll need to budget for welcome bags filled with goods to make your guests feel more at home during their stay.